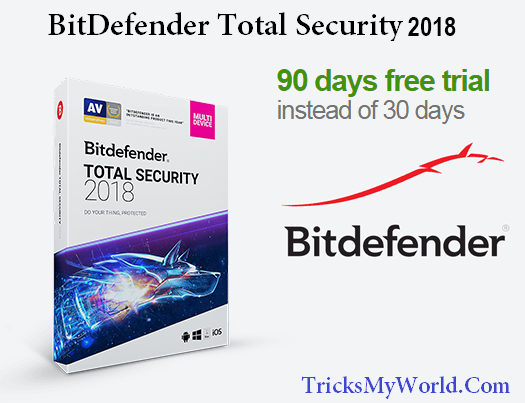 Bitdefender total security 2018 is the latest version security software suite from Bitdefender, the Romanian security product vendor. This product comes with new features like Firewall, Ransomware protection. The security software is normally priced $89.95 per year license for 3PCs. 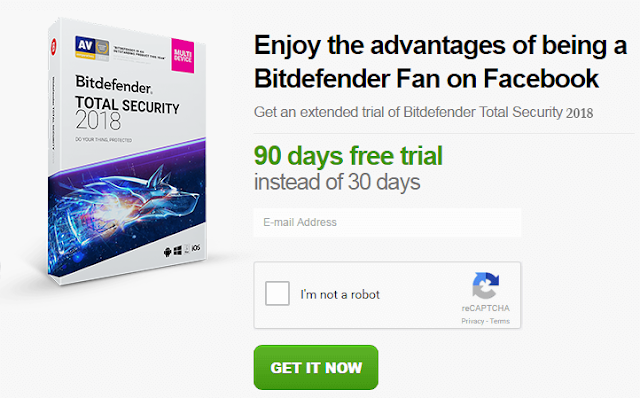 Now Bitdefender offering 3 months free license for 1 PC. The security software is compatible with Windows 7, Windows XP, Windows 8, 8.1, Windows Vista and Windows 10 operating systems. How to get the Security software with a 3-month free license? Just follow below steps. Enter your "Email Address" and click “GET IT NOW” button. Now you will get an email to your inbox with instruction to how to install and activate with 3-month license key. Done. Enjoy 90 days free trial. Get videocon prepaid mobile services to explore the world with easy postpaid bill payment, online prepaid mobile recharge and much more. Nice article sir, I installed free version and using it at the moment. It works great.